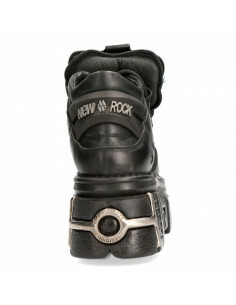 The Boot M-391-S1 Of METALLIC COLLECTION with Genuine Leather. 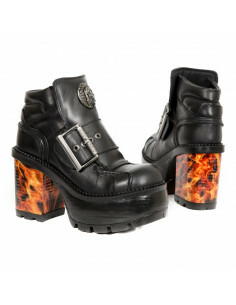 The fashion and Original Newrock desing goth and metallic togeter in this style, a design more iconic of the brand since the beginning.A design with its usual high heel metallic seal Newrock. Model classic to the more Metallic Rocker and Biker style.